Standing in the middle of a sea of people, I closed my eyes and tried to make everything stand still around me. Large crowds and too much noise overwhelm my senses. However, when the Lumineers took the stage, I was able to shut off everything else and just absorb the music. This song was one that followed me home, the words etched into my brain. A perfect Sunday song, with a message I really need. Slow it Down. My goal every Sunday. Should be my goal other days as well, but Sundays are a good place to start. Hope you find a way to slow it down today as well. Friday night we stayed in San Rafael, following a leisurely drive through Wine Country. 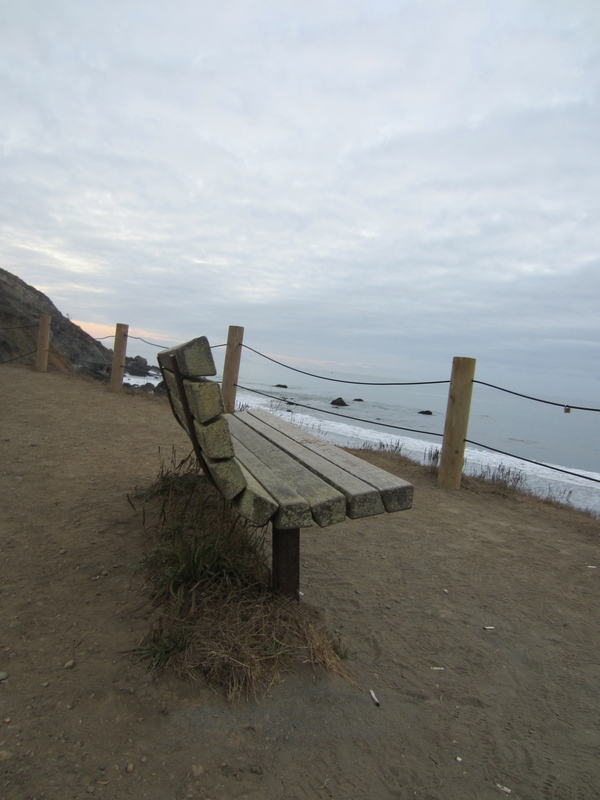 As soon as we reached our hotel, I begged Alex to jump in the car to make the trek 25 minutes further so we could watch the sunset over Muir Beach. What I didn’t realize was that the beach is angled away from the setting sun, so instead we enjoyed the dimming light, remembering how often we used to come and sit in the same spot when we lived in Berkeley. It was our spot to imagine the future. I guess it still is. 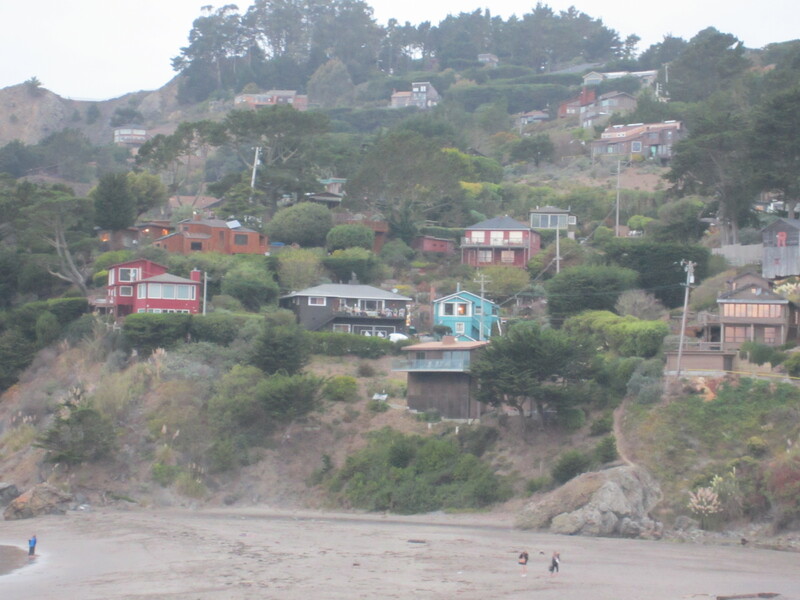 This time my imagination of the future included a need to own the teal house overlooking the beach… Alex quickly pointed out that we could paint any house on the beach teal, but that seems beside the point. 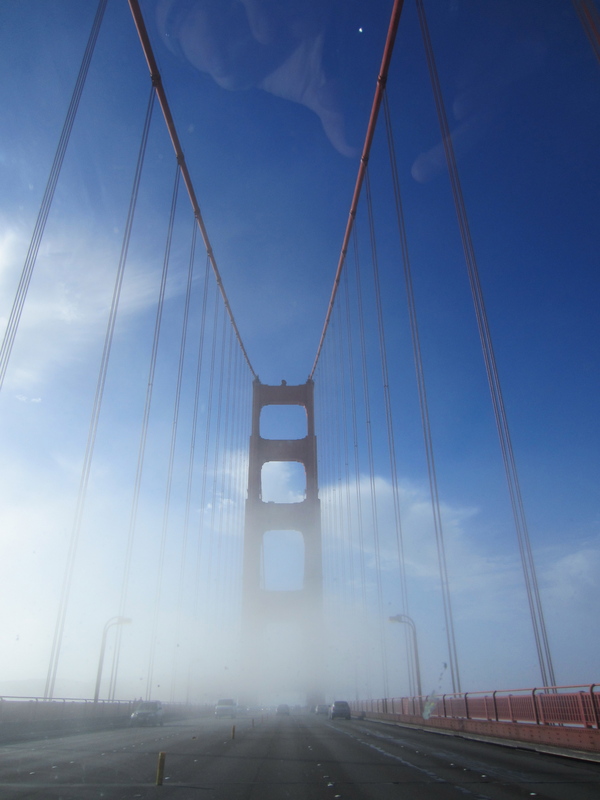 Woke up ready to cross the Golden Gate and head into the City for brunch and the Bluegrass Festival. No matter how many times I cross this bridge, it’s always magical. 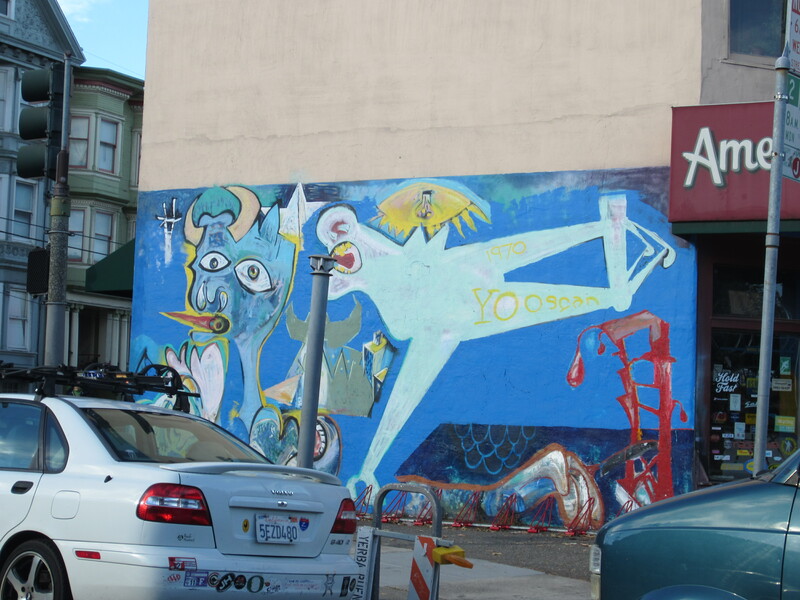 A little SF mural flair, Guernica style. 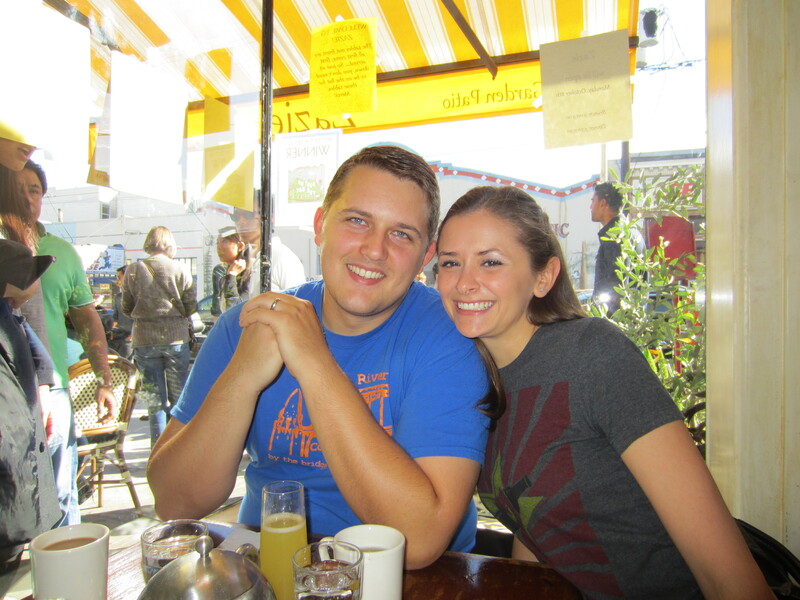 Delicious brunch at Zazie’s with friends. Made us feel like locals, like maybe we were home again. 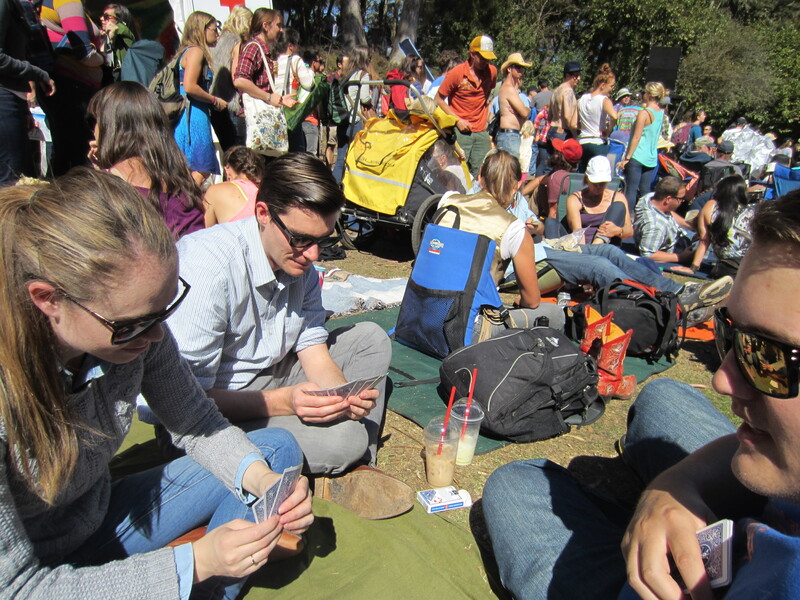 A very grown-up game of Go Fish while we waited for the Lumineers at Hardly, Strictly Bluegrass in Golden Gate Park– a completely free music festival, (and just one more reason I love San Francisco). 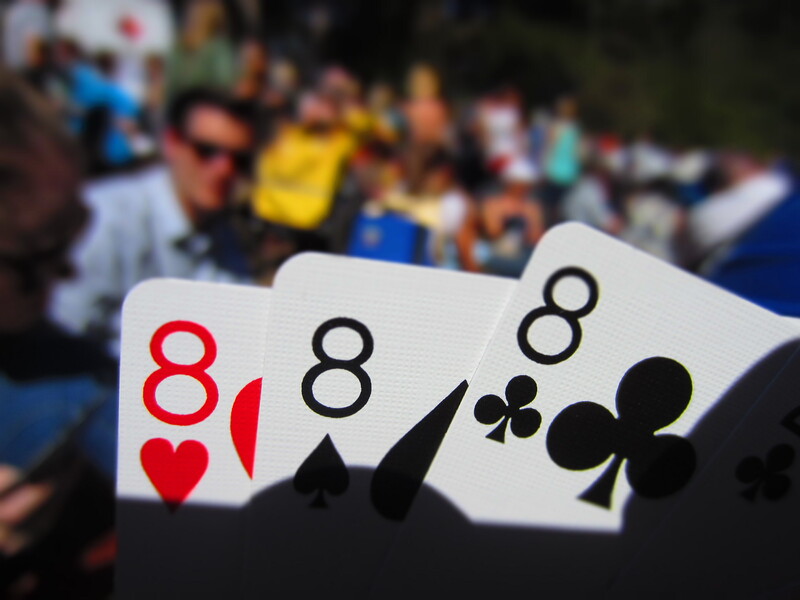 Lucky hand of Go Fish! 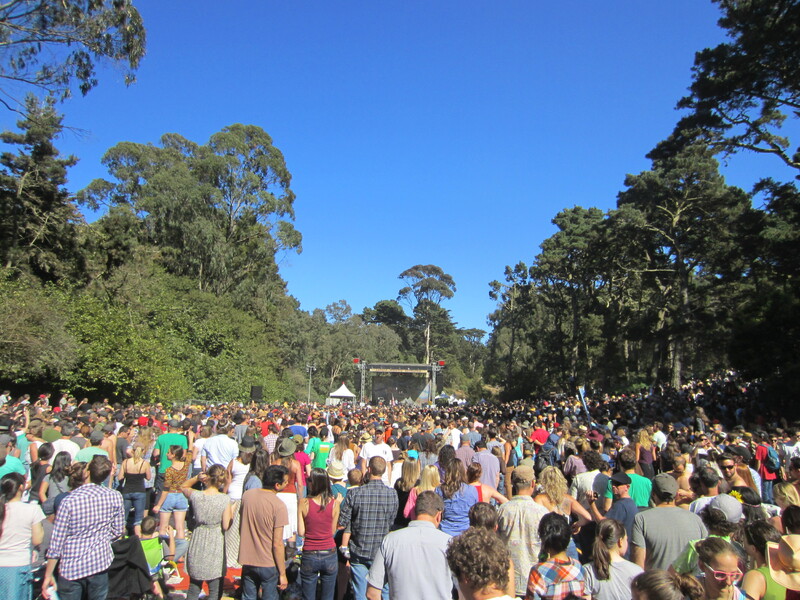 Doing a frightening job protecting our precious piece of real estate as the crowd rolled in for the Lumineers– Golden Gate Park was packed but beautiful in the sunshine! And, what we waited for– one of my favorite bands, the Lumineers. 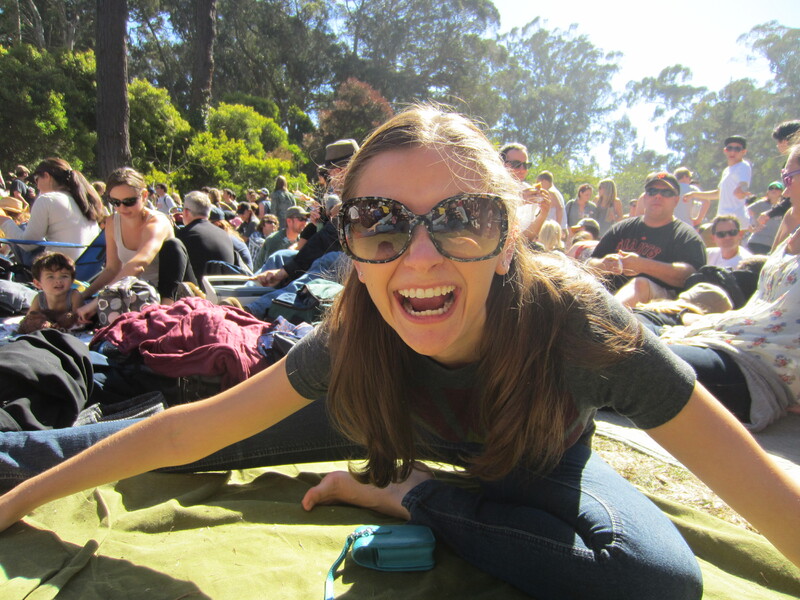 Sitting on Alex’s shoulders, listening to lyrics about love and family, I felt momentarily at home in a sea of people.